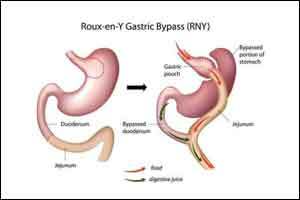 According to a new research finding Preoperative weight loss in Bariatric Surgery leads to better postoperative outcomes .Dr. Hutcheon and associates have demonstrated that in case of patients losing at least 8 percent of excess weight just one month before the procedure there is enhancement in ability to shed even more pounds in the year following surgery.The findings of new study have been published ahead of print as an “article in press” on the website of the Journal of the American College of Surgeons . Citation: Short-Term Preoperative Weight Loss Improves Postoperative Outcomes in Bariatric Surgical Patients. Journal of the American College of Surgeons. Available at: http://www.journalacs.org/article/S1072-7515(17)32195-6/abstract.